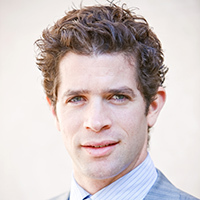 Joshua Meltzer is a Senior Fellow in the Global Economy and Development program at the Brookings Institution and an Adjunct Professor at the Johns Hopkins School for Advanced International Studies, where he teaches international trade law. He is a reviewer for the Journal of Politics and Law. At Brookings, Joshua works on international trade law and policy issues arising under the World Trade Organization and free trade agreements. He is an expert on digital trade issues and co-directs Brookings’ Digital Economy and Trade Project. He also works on financing for sustainable infrastructure. Joshua has testified on trade issues before the United States Congress, the United States International Trade Commission and the European Parliament. Prior to joining Brookings, he was posted as a diplomat at the Australian Embassy in Washington, DC, where he was responsible for trade, climate and energy issues. Prior to that he was a trade lawyer and trade negotiator in Australia’s Department of Foreign Affairs and Trade. Joshua has appeared in print and news media, including The Economist, The New York Times, The Washington Post, CNN, Bloomberg, The Asahi Shimbun and China Daily. He holds Doctor of the Science of Law (SJD) and Master of Laws (LLM) degrees from the University of Michigan Law School, and law and commerce degrees from Monash University in Melbourne.